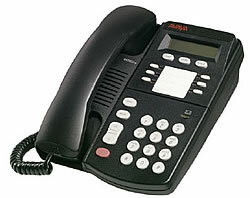 The 4406D digital phone is Avaya's most cost-effective 4400-series phone. This 6-button digital telephone is designed to provide the most common phone functions required to achieve maximum employee productivity and overall value. Note: this terminal does not support integrated directory access on the IP Office.